The OPTIMA Ultimate Street Car Invitational, presented by Royal Purple and KN, was first created to answer a simple question- Can the cars at SEMA actually perform well on the street and race track or are they just pretty faces at a car show? Not every SEMA car is up to the task, but Steven Rupp's "Bad Penny" Camaro answered that call in 2008 and set the benchmark for a well-rounded car, by winning the inaugural OUSCI. While the color remains the same, Rupp is constantly wrenching on his Camaro, tweaking and upgrading the performance on a regular basis. Rupp's F-body now generates 612 horsepower and 586 lb.-ft. of torque at the rear wheels, which helps propel his ride to quarter mile passes in 11.4 seconds at 125 mph. Add another quarter mile onto that distance and Bad Penny will run 148.9 mph in the standing half-mile and 172.4 mph in the standing mile. Not bad for a street-worthy car (Rupp recently did a 1,200-mile roundtrip run out to the Silver State Classic Challenge open road race) that can knock down 19 mpg on the highway. Aside from Popular Hot Rodding's Project X, Rupp's Bad Penny Camaro may be the most-inked car in the history of automotive publications, the subject of more than 20 tech stories, three magazine covers, more than a dozen other articles, as well as being featured in countless advertisements both stateside and abroad. 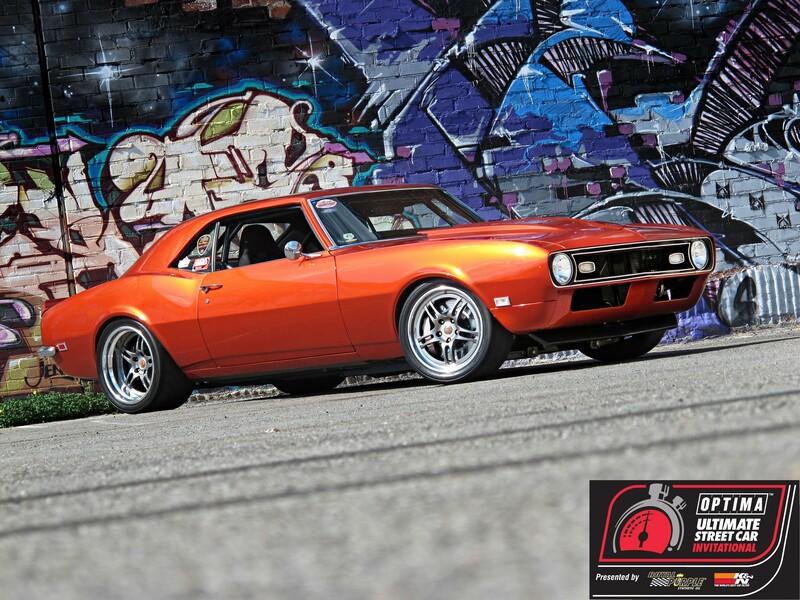 We'll spare you with the specifics on Rupp's Camaro and simply provide links if you'd like to get more details on it at Super Chevy, Popular Hot Rodding or Camaro Performers magazine. 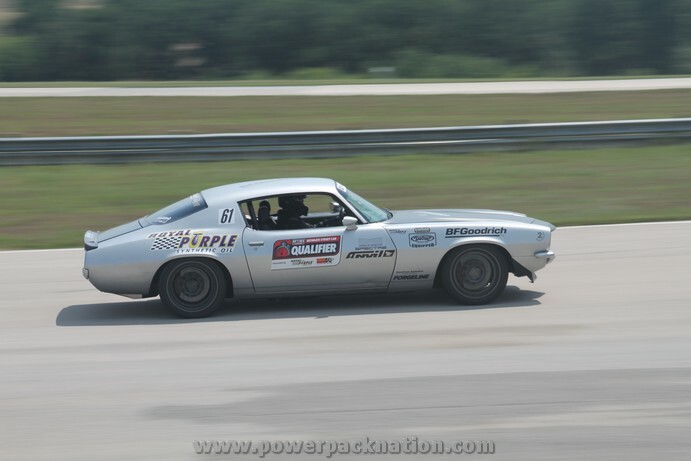 As experienced as Steven is with OUSCI competition and as well-traveled as his car has been over the past several years, we expect it to have no trouble scoring the maximum number of points possible in the Detroit Speed Engineering/JRI Shocks road rally. Likewise, this magazine-quality F-body should show well in the Lingenfelter Performance Design Challenge. The RideTech autocross may be Bad Penny's strongest event, as Rupp is a very capable autocrosser with plenty of experience and a car to match. However, Steven concedes his driving ability is the limiting factor in his success in the BFGoodrich Hot Lap Challenge. "If someone like David Pozzi was driving, then I would expect to be in the top-5. With me, I’m hoping to be in the top-10, or at least not spinning off into the desert." Self-depricating remarks aside, Rupp's predictions might seem bold in a field stacked with amazing machines, were it not for his past experience in this competition. When Rupp last competed in 2010, Bad Penny finished 11th in the Performance Design Challenge, 15th in the Hot Lap Challenge, 22nd in the Autocross and 10th in the Speed Stop Challenge. In addition to more power under the hood and a more experienced driver, new Wilwood brakes should help Rupp keep pace with the top contenders in nearly every category. Since Rupp is one of only a handful of OUSCI veterans in this year's field, we asked him who he thought might be a favorite- "My money would have to be on Mark Stielow. He’s a world-class driver, great builder and a GM engineer. That’s a combo that’s hard to beat. I always joke with Mark that my car would have to be four times faster to beat him in a race given our skill differential. At least he drives a Camaro so that’s some consolation," says Rupp. If you can't get enough of the Bad Penny Camaro, head on over to Rupp's YouTube Channel, where you can catch more of this amazing machine in action. If that's still not enough and you want to see it in person, buy your tickets now for the 2012 OUSCI.